Jongia’s latest development is a magnetic coupled mixer, the Magitator, especially designed for chemical, food and pharma processes where prevention of seal leakage and product contamination is a top priority. Its main feature is the hermetically closed and sealless shaft design. This kind of mixer can be operated for example in almost any chemical environment, including in processes where hydrosulfic acid, hydrofluoric acid, amines, isocyanides and NaOH are used. Jongia’s Magitator, a magnetic coupled mixer, boasts a revolutionary and robust design, robustness being one of the hallmarks of the Jongia brand. Key elements in the design are its shaft rigidity, the ceramic bearing section and the novel magnetic coupling. 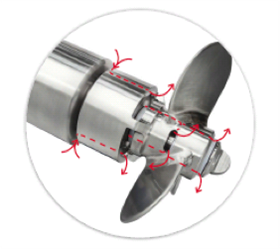 The rigidity of the shaft ensures the absolute minimum of vibration and its hermetically closed design guarantees that there will be no contact or contamination between the product in the vessel and the outside atmosphere. 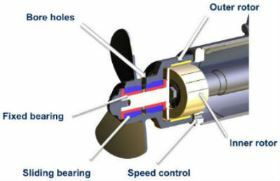 Furthermore a sealing system is eliminated from the design thanks to the innovative magnetic coupling. The new and patented Magitator was especially developed for the chemical, food and pharmaceutical industry, where companies have to deal with product contaminations, exothermic reactions and work with extremely aggressive products. The Magitator can be mounted as a side or bottom entry mixer. Depending on the process and product requirements a motor is selected from a power range of 0,5 – 10 kW. All brands of Motor/gearbox drives can be supplied as well as explosion proof motors up to ATEX Zone 1. Although Jongia has a modular design every Magitator will be custom made and dedicated to your process. FDA and EHEDG guidelines have been followed with the construction materials and design. The cleanability of the magitator is compliant with the most stringent CIP and SIP requirements. 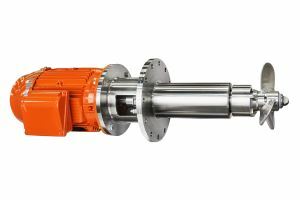 Beyond the main features of closed shaft design the magitator is designed for a maintenance free operational life. The Magitator cuts maintenance costs significantly!